Mediterranean diet is a loose term. In Mediterranean countries the local dietary profile rarely corresponds exactly to the purported Mediterranean model, nor is it clear what this model is. 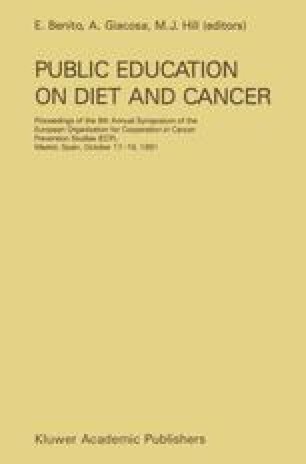 It has been common to assume that the Mediterranean diet is a low fat and particularly low saturated fatty acids diet, but there is now evidence that there is more to this diet than just its fatty acid moieties. Thus Greek diet is high in total fat but low in saturated fatty acids whereas the Southern Italian diet is rich in complex carbohydrates and has a low overall fat content. Yet both regions are characterized by very low incidence rates of coronary heart disease (CHD) and several forms of cancers.